When the German Wehrmacht swarmed across Eastern Europe, an elite corps followed close at its heels. Along with the SS and Gestapo, the Ordnungspolizei, or Uniformed Police, played a central role in Nazi genocide that until now has been generally neglected by historians of the war. Beginning with the invasion of Poland, the Uniformed Police were charged with following the army to curb resistance, pacify the countryside, patrol Jewish ghettos, and generally maintain order in the conquered territories. Edward Westermann examines how this force emerged as a primary instrument of annihilation, responsible for the murder of hundreds of thousands of the Third Reich's political and racial enemies. In Hitler's Police Battalions he reveals how the institutional mindset of these "ordinary policemen" allowed them to commit atrocities without a second thought. To uncover the story of how the German national police were fashioned into a corps of political soldiers, Westermann reveals initiatives pursued before the war by Heinrich Himmler and Kurt Daluege to create a culture within the existing police forces that fostered anti-Semitism and anti-Communism as institutional norms. Challenging prevailing interpretations of German culture, Westermann draws on extensive archival research—including the testimony of former policemen—to illuminate this transformation and the callous organizational culture that emerged. Purged of dissidents, indoctrinated to idolize Hitler, and trained in military combat, these police battalions-often numbering several hundred men-repeatedly conducted actions against Jews, Slavs, gypsies, asocials, and other groups on their own initiative, even when they had the choice not to. In addition to documenting these atrocities, Westermann examines cooperation between the Ordnungspolizei and the SS and Gestapo, and the close relationship between police and Wehrmacht in the conduct of the anti-partisan campaign of annihilation. Throughout, Westermann stresses the importance of ideological indoctrination and organizational initiatives within specific groups. It was the organizational culture of the Uniformed Police, he maintains, and not German culture in general that led these men to commit genocide. 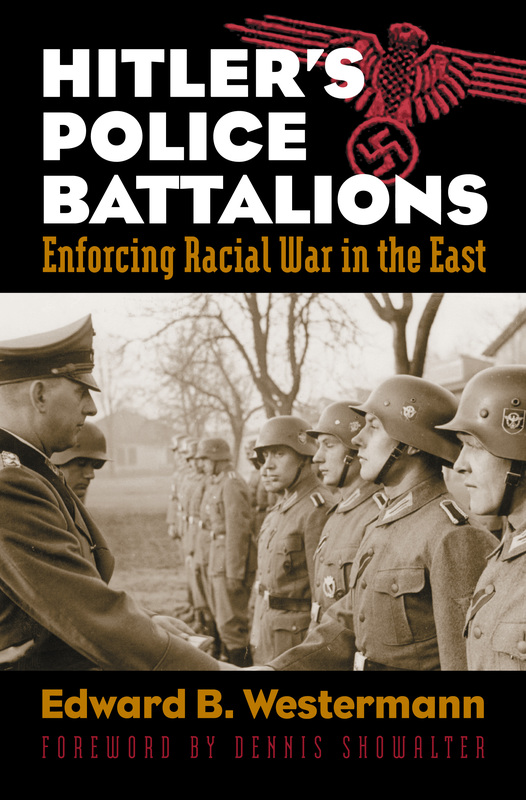 Hitler's Police Battalions provides the most complete and comprehensive study to date of this neglected branch of Himmler's SS and Police empire and adds a new dimension to our understanding of the Holocaust and the war on the Eastern front. Edward B. Westermann, a former Fulbright Fellow at Berlin's Free University, is professor of comparative military theory at the School of Advanced Air and Space Studies in Montgomery, Alabama, and the author of Flak: German Anti-Aircraft Defenses, 1914–1945.